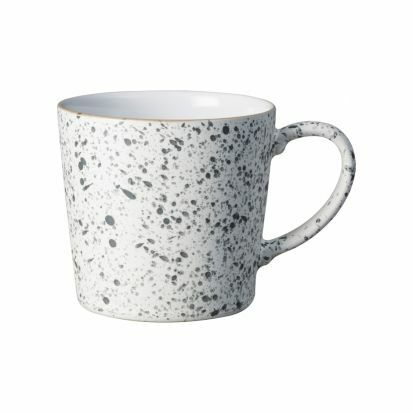 These Denby mugs have a random splatter effect which is applied by hand, making each one unique. With a white background and black splatter effect. Hand-Crafted in the Denby Pottery from high quality, locally-sourced clay and expertly glazed to enhance durability.